The Gender Partnership Diagnostic (GPD) provides an exceptional foundation for companies to achieve goals accelerating women’s leadership and to advance business objectives through Gender Partnership. The GPD methodology prescribes solutions for implementing measurable changes and moving through historic barriers to achieve the leading edge of performance. Dissatisfaction with low levels of women in senior and top leadership positions, and/or in the pipeline to higher leadership levels. Knowledge of complaints and incidents of discrimination or exclusion. Inadequate efforts to engage men in advancing women’s leadership. Executive motivation to recharge innovation and market opportunities. Commitment to expand inclusion in leadership positions, and recognition of the opportunity to address Gender Partnership as a gateway to that expansion. The GPD requires up to 12 weeks’ time from contracting to report presentation. Twenty-five women and men, senior leaders and high potentials, are each interviewed for 45 minutes. Their experiences and candid reflections generate a strong spectrum of perspectives and ideas. Responses are analyzed in detail providing an unusual depth of insight into what people think and say: how they identify the toughest entrenched challenges, how they indicate personal and organizational readiness to improve, how they articulate ideas and solutions, and how they perceive people’s willingness to work toward greater partnership. While interviews are respectfully held as confidential, some comments and stories, scrubbed of identifiers, are used in the final presentation to bring findings to life. High-level review of internal surveys and relevant initiatives provide additional information. The results point out what’s needed, what strengths exist and how to move forward. Leaders are facing the fact that they are “leaving talent on the table.” In the marketplace today, competence in building Gender Partnership is key to achieving high performance. Talented young women and men, the leaders of tomorrow, believe in equity. They will not stay and give their best effort in rigid and non-inclusive environments. The root cause of gender imbalance or lack of gender diversity in business is organizational cultures that do not create the conditions for Gender Partnership. Gender Partnership exploits differences among women and men to provide optimal solutions. Women contribute in somewhat different ways than men, and are proven to bring value in leadership, selling, innovative problem solving, team building, collaboration, new product development and risk assessment. The most successful Initiatives for advancing women’s careers involve men. Companies facing the “Power of the Purse“ benefit from connecting employees’ insights to their market opportunities for gender diversity. 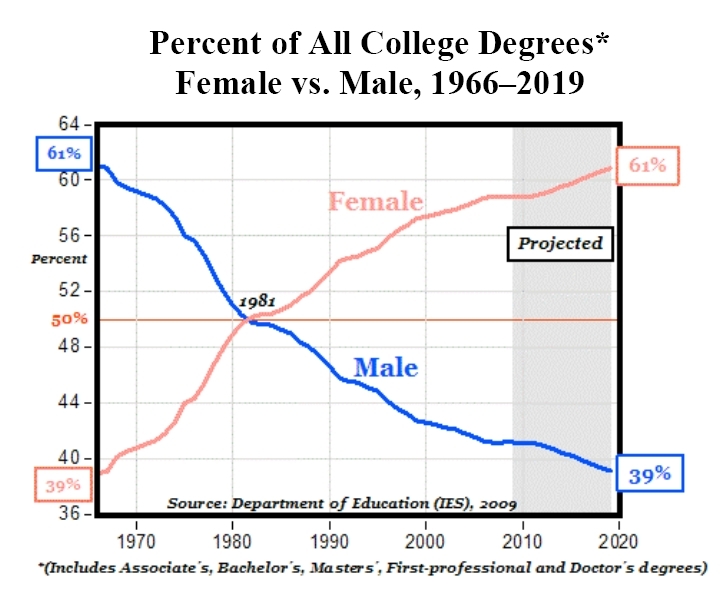 The double impacts of high rates of older workers retiring (10,000 every day) and the disproportionate college graduation rate of women over men signal a paradigm shift for talent, recruitment and succession. Support systemic, enterprise-wide organizational culture change. The GPD provides essential information to guide these tactics and creates a prescription for action. Based on findings, it indicates programs, practices and policies that can be resourced to meet strategic goals. After the consultation, the Next Steps for Gender Partnership analysis is prepared as follow up. This document goes beyond the report recommendations to prescribe a series of simple and more complex actions representing best practices and addressing red flags and golden carrots that emerged in the findings. The Institute for Women’s Leadership has deep experience in working with organizations that thrive and transform as a result of efforts to include, integrate and rely on great women leaders working side by side with great men leaders. The GPD provides a confident foundation for the journey to full gender partnership and ensures that planning and initiatives for action are rooted in research and evidence. For more information, including pricing, email us at info@womensleadership.com or call 415-331-3222.